1.Product quality: Stability, conformity of product dimensions, surface finish, product material utilization, etc. 2.Service life: The number of work cycles or the number of manufactured parts that can be completed by the mold under the precondition of ensuring product quality. 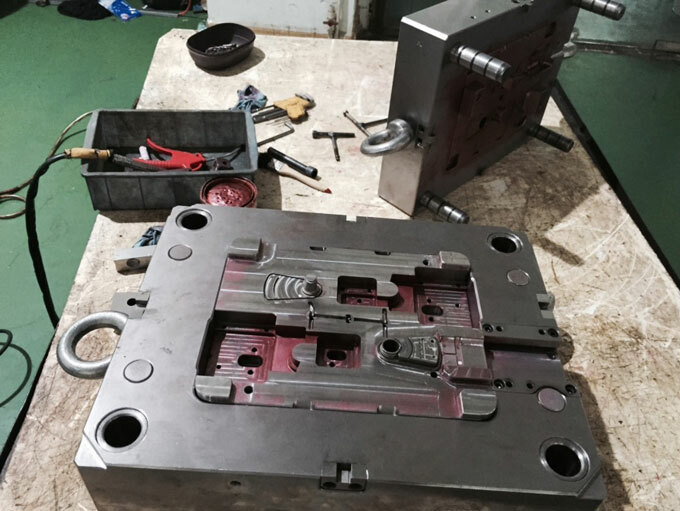 3.Usage and maintenance of the mold: whether it is the most convenient to use, easy to mold release, and the production aid time is as short as possible. 4.Maintenance costs, maintenance periodicity, and more. 1.First of all, the design of the parts should be reasonable, and the best structural solutions should be selected as much as possible. The designers of the parts must consider that the technical requirements and the structure of the parts must conform to the process ability and feasibility of the mold manufacturing. 2.The design of the mold is the most important step to improve the quality of the mold. Many factors need to be taken into consideration, including the selection of mold materials, the usability and safety of the mold structure, the process ability of mold parts and the convenience of mold maintenance. At the beginning of the design, it should be as thorough as possible. 3.The choice of mold materials must meet the customer's requirements for product quality, but also take into account the cost of the material and its strength in the set period, of course, according to the type of mold, the use of work methods, processing speed, the main failure forms, etc. Factors to choose materials. For example, the main failure mode of blanking die is edge wear, and it is necessary to select materials with high surface hardness and good abrasion resistance; stamping die is mainly subjected to cyclical loads, which can easily cause surface fatigue cracks and lead to surface peeling. Good surface toughness materials; drawing die should choose materials with low friction coefficient; die casting die due to cyclic thermal stress, it should choose a material with strong thermal fatigue; for injection molding, when the plastic parts are ABS, PP, PC For such materials, the mold material can be pre-hardened and tempered steel. When the plastic parts are of high gloss and transparent material, the corrosion-resistant stainless steel can be selected. When the product volume is large, the quenched and tempered steel can be selected. In addition, it is also necessary to consider the use of mold materials that have a low affinity with the parts in order to prevent the molds from aggravating the wear of the mold parts and thus affecting the quality of the mold. 4.When designing the mold structure, the structure should be compact and easy to operate, but also ensure that the mold parts have sufficient strength and rigidity; when the mold structure allows, the corners of the mold parts surface should be designed as a round transition as far as possible to avoid stress concentration; For the die, cavity and part of the punch, core, can be used to eliminate stress concentration, or punching structure, slender punch or core, in the structure to take appropriate protective measures; for cold die, should be configured Equipment that prevents the clogging of parts or materials (eg, ejectors, compressed air, etc.). At the same time, we must consider how to reduce the impact on the quality of the mold caused by wear of sliding fittings and frequently impacted parts during long-term use. 5.In the design, the scope of disassembling when repairing a certain component must be reduced. Especially when the wearing parts are replaced, the scope of dismounting should be reduced as much as possible. 6.The manufacturing process of the mold is also an important part of ensuring the quality of the mold. The processing method and machining accuracy in the mold manufacturing process will also affect the service life of the mold. The accuracy of each component directly affects the overall assembly of the mold. In addition to the influence of the accuracy of the device itself, it is necessary to improve the processing technology of the component and improve the technical level of the fitter in the mold grinding process to improve the processing precision of the mold component. If the overall assembly effect of the mold does not meet the requirements, the chance of the mold operating under abnormal conditions in the test mold will increase, which will have a great influence on the overall quality of the mold. 7.Surface strengthening of the main forming parts of the mold to improve the wear resistance of the mold parts surface, so as to better improve the quality of the mold. For surface hardening, different strengthening methods should be selected according to the different uses of the mold. For example: the die can be used EDM, carbide surfacing, etc., to improve the wear resistance and comprehensive strength of the mold parts surface; die-casting molds, plastic molds and other hot-working die steel parts can be nit riding (hard nitrogen (chemical) treatment to improve the wear resistance, thermal fatigue resistance and corrosion resistance of the parts; the drawing die and the bending die can be treated with sulfur to reduce the friction coefficient and improve the wear resistance of the material; carbonizing (Soft nit riding) can be applied to the surface hardening treatment of various types of molds. In addition, a vacuum vapor-deposited film technology called FCVA developed in recent years can form an extremely strong and smooth, uniform and dense protective film on the surface of parts, which is particularly suitable for mold surface protection. Treatment is also an effective way to increase the quality of the mold. Of course, if the product is a trial product or if the production volume is relatively small, the surface hardening treatment of the mold part does not necessarily have to be performed. 8.The correct use and maintenance of the mold is also a major factor in improving the quality of the mold. For example, the installation and adjustment of the mold should be appropriate. In the case of hot runners, the power supply wiring must be correct. The cooling water circuit must meet the design requirements. The parameters of the injection molding machine die casting machine, and press in the production mold must meet the design requirements. And many more. In the correct use of the mold, the mold needs to be regularly maintained. The guide column, guide bushing and other parts with relative motion of the mold should be often filled with lubricating oil. For molds such as forging dies, plastic dies and die casting dies, etc. Lubricant or release agent should be sprayed on the surface of the forming part before molding. The planned preventive maintenance of the mold and the data processing in the maintenance process can prevent problems that may occur in the production of the mold and improve the maintenance work efficiency. In short, in order to improve the quality of the mold, we must first consider the impact on the quality of the mold in each link, and secondly must be through the cooperation of all departments. The quality of the mold is a true manifestation of the strength of the mold company itself.